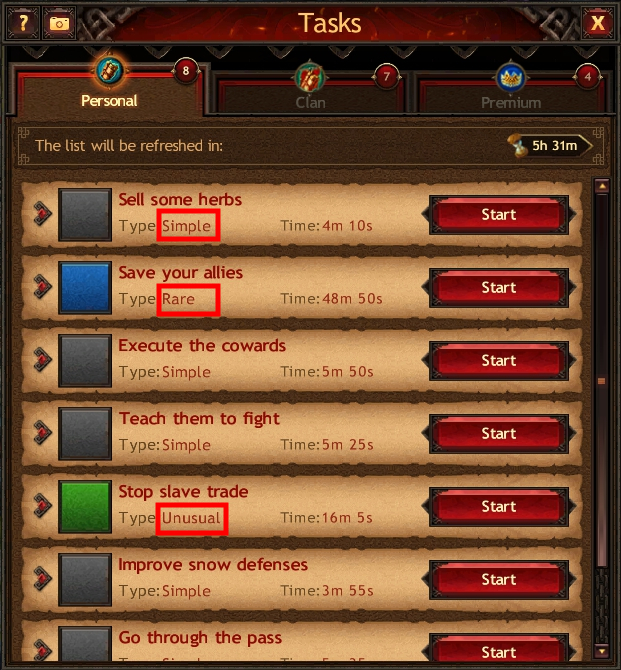 Tasks are short-term missions that allow you to obtain resources, materials and experience, etc. Within each category, Tasks differ by their type: Simple, Usual, Unusual, Rare, Epic and Legendary. Each Type is marked with a corresponding color. The higher the Task type, the more substantial the reward. 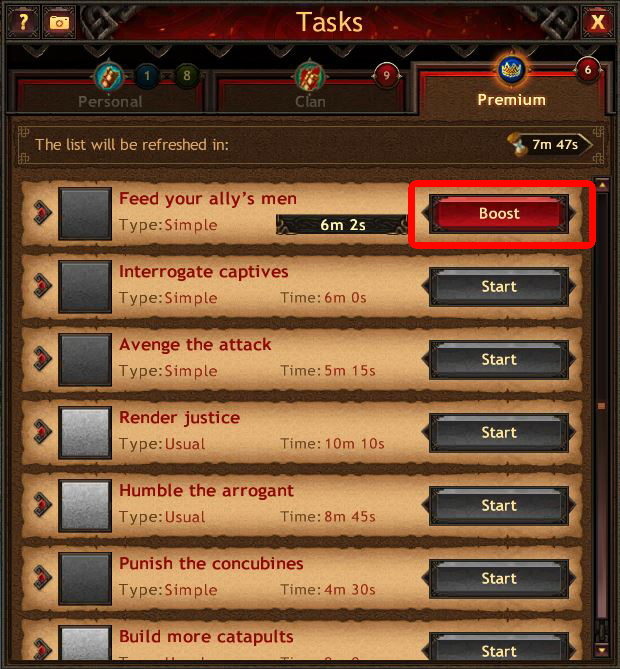 You can speed up Task completion by clicking Boost. 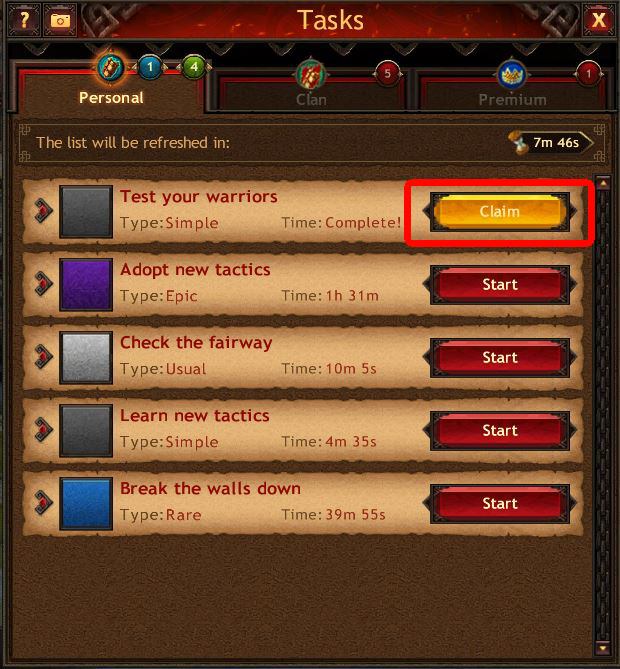 When the indicated time runs out you should click Claim to receive your reward.